I’ll confess, it’s a bit difficult to say that I loved a book about someone’s painful life struggle, but I really did love this book. It’s beautifully written, easy to read, and the author cleverly interlaces story telling and factual information about hoarding. 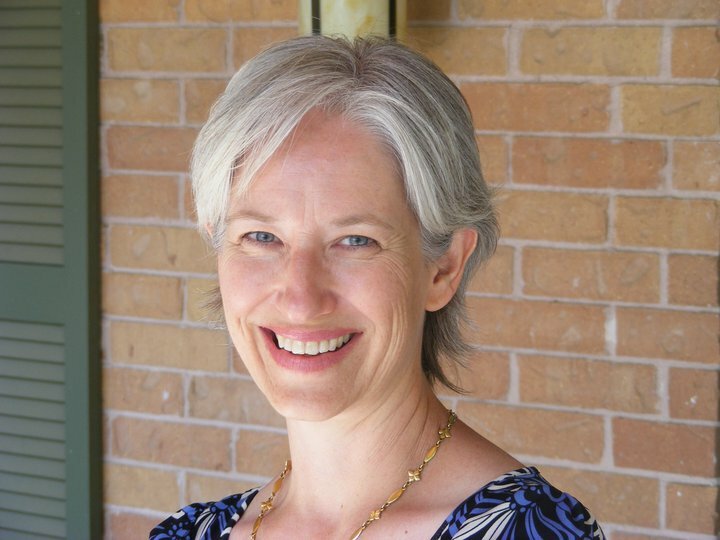 The author, Jessie Sholl, lived with a mother who was initially a pack rat and who became a full-fledged hoarder after the death of her long-term boyfriend. But as Ms. Sholl makes clear, hoarding is just one symptom of a larger picture of poor mental health. Her mother isn’t just a hoarder and otherwise completely healthy and normal; not did she have great mental health prior to her boyfriend’s death. You only have to watch the show Hoarders one time to realize that the issue is way more than “For Heaven’s sake, clean up your junk.” Ms. Sholl’s mother is abusive, loving, capricious, unreliable, self-centered, indecisive, cruel, and generous, all at the same time. At times, Ms. Sholl seems as stuck in her own efforts to break her mother from hoarding as her mother is stuck in continuing to hoard. Both repeatedly take their assigned role in this particular unproductive dance of push and push back. Unfortunately for her, Ms. Sholl tries repeatedly to clean and declutter her mother’s entire house in a major, exhausting effort, in the blind hope that once it’s clean, her mother will be able to maintain the house. Of course, just throwing away everything you can lay your hands on and scrubbing everything else with bleach does not solve any of the underlying issues. Ms. Sholl final frees herself by 1) refusing to take her part in the dance any longer and 2) admitting to others that her mother is a hoarder and a woman with many mental health issues. In some ways, this very last section of the book is my favorite. I was a mental health counselor for many years, and one of my biggest beliefs if that you are never alone. No matter how crazy, how weird, how embarrassing your secret is, if you will let it out, you will quickly find that it is a secret shared by many, many of the people around you. In fact, Ms. Sholl eventually discovers that two of her friends have mothers who hoard. They could have been supporting each other all along, if they had been able to overcome their shame and let their secret out. I’m glad Ms. Sholl finally did let her secret out and shared with all of us, as well. Declutter something you have kept for sentimental reasons. I bought this bracelet for my mother some time ago at an antique store in Seattle of all places but due to a problem in her arm she can not wear it so she gave it back to me. I had no desire to keep it so I sold it on ebay. I hope the new owner will enjoy and appreciate it. 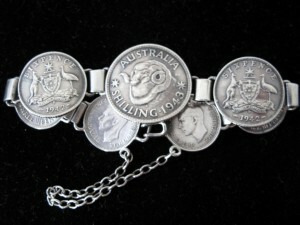 Australian Stirling Coin Bracelet. Catching lots of green lights when I was out and about today. Don’t you think that hoarding, as well as other challenges, start small and then if ignored will get bigger and bigger as time goes on until it eventually takes over your life. It is sometimes hard to find balance. I remember an episode of Extreme Couponing, where it showed a guy who had a room made to put his enormous stash of toothpaste in. If I had the money for an extra room, I would use it for the family somehow, not for tons of toothpaste. These people are good at getting good deals, but they could be on the boarder of being considered hoarders. I think the economic downturn made it so some people started buying and keeping more. As I waited for my daughter to get out of a church class this morning to take her to school, I opened up my glove compartment and cleaned it out. It took 5 minutes, but I was productive while I waited. Tomorrow I will tackle the trunk or the space between the seats while I wait. Little bits of time can add up to great success as well as doing a drawer at a time or a basket like was mentioned earlier. Maybe you can even clean out your purse while you wait for a plane. We are all going to have change in our lives, but if we are consistent in keeping up with things, it makes it so much easier in the long run! You don’t have the tendency to get overwhelmed that way either. I cleaned out my purse while waiting for my son at university the other day. The receipts tend to build up over time not to mention other little bits of paper. Funnily enough it was mainly just paper in there cluttering up all the useful little pockets. My cousin Kerri likes the show Extreme Coupons (or whatever it’s called), so I watched it once. Those people are ABSOLUTELY hoarders. A whole different sort, but stocking up on tons of stuff that you don’t need, even if you keep it inventoried, is clearly hoarding. Here in the UK a new series started 2 weeks ago called “Get your house in order” . Each week it tackles the house of a hoarder who has applied to the show as desperate for help and the 2 presenters: a 2nd hand goods specialist and an interior designer, empty their house of all the horded stuff (floors and every flat surface covered, each room almost impossible to use) It is all laid out in a warehouse so the householder can see quite how much they have (and it is a shocking sight). They then persaude them to let go of 95% and then the 2nd hand specialist helps them sell as much as possible and the raised funds are used by the interior designer to make 3 of their most used rooms so plush that in theory, they will never want to clutter it again. No work appears to be done to address the underlying causes or how to break habits etc. Yes, I know – completely barking premise as no one deals with the underlying reason why someone has 9 irons or a room full of old packaging for example, or they keep buying clothes they never even take out of the carrier bag it comes home in. It is also completely bizarre that the designer then goes and buys more knicknacks to ‘dress the house’ in a stylish way. To be fair, at the end of the programme the participant appears deliriously happy to have got rid of all the stuff and seems to love the makeover and we are also told that 2 months later, the rooms remain clutter free. But I find it very hard to believe someone is able to switch off their hording/compulsive purchasing just like that. I can’t help but suspect that 2 months isn’t very long, and the rooms that were not decorated are probably the recepticle of 2 months worth of stuff and it will eventually spill over onto the rest of the house. I’m sure that, occasionally, someone’s house is cleaned, and that’s it – problem fixed. I once heard someone say that stopping smoking was easy too! But for most people, I’m sure the show does not and cannot fix their true problems. Frankly, I’m surprised the homes are still clean 2 months later. I wonder how the other rooms look. Yes Katharine, these shows disturb me too. Cindy, I also read the book and I loved it, too! My aunt bought it for me as she knows I am anti-clutter. When I finished reading the book, I mailed it back to her with a note that said thanks and here’s the book back, I’d better not keep it as that’s how hoarding starts! She got the humor of it and thought it was funny! As Colleen would say, That was cheeky of you. Ha Cindy you will have all of Texas using that word soon. I will Aussie up America yet. Today at work, the paralegal whose daughter-in-law is Aussie, called one of the attorney’s cheeky. He said, “Cheeky? What’s that?” You still have work to do in Aussifying Texas, Colleen. Yes, I must admit I do have quite a challenge ahead of me. Cindy, I’ve been seeing on the news about the tornadoes in the Dallas-Fort Worth areas this afternoon. I hope you and your family and home are O.K. Good thoughts and prayers are with all of you. Oh thank you Jennifer. We’re in Austin, in the central part of the state, and are not experiencing anything unusual – just hoping for a bit of rain. Actually, I find it hard to believe that so many people have such a hard time understanding hoarders. Maybe, I’m sort of a “clean hoarder” myself? However, I really like stuff. I love seeing pretty things, I love touching things and smelling them. They hold memories or are just plain beautiful. When I was a child, I had “treasures” like stones, shells or random scribblings and letters. As time went by they have become more and more so that I learnt to cull them back and declutter those treasures regularly, but I still hang onto things. And I know the feeling of wanting to buy just because something is pretty without even thinking about whether I’d need it. I also keep torn clothes to make patchwork things out of them and so on. Sure, I’m no hoarder, but I think the “clutter-problems” we’re fighting with are essentially the same. Sanna, thanks for saying it out loud! I love stuff, too. And though I envy natural minimalists for being so detached of things I actually love that I CAN love stuff and appreciate it. I only wish I had learned earlier that double the amount doesn’t double the joy and that keeping something doesn’t make interests (or pant size) come back … And I agree that the clutter habits of hoarders and non-hoarders stem from the same behaviour. Otherwise they would not go unnoticed (and unhelped) for so long. I am a natural minimalist, but I also appreciate the stuff I have. Being a minimalist makes me appreciate what I have much more. I can see it better and get better use out of it. When I’m not constantly overwhelmed by stuff, I am much happier with the things I have. Detachment to me is not lack of appreciation. It’s being able to pass on the things I don’t need or love to those who might, and to resist buying more lovely things which I have no real need for (not because I don’t think they are great, but just because I don’t want the hassle of ownership), or be worried that something breaks or gets worn so that I am afraid to use them, and so on. I’m still a visual person and care about how my living space looks, not just the amount of stuff, but also how the colors go together and so on. I wish I’d said that Cat’sMeow. You summed up the beauty of living with less here perfectly. Thank you! Sometimes I think I can appreciate beautiful things more when I don’t have them around permanently. What is they say, familiarity breads contempt. I would think that true appreciation would have a person constantly needing to collect another and another to satisfy a need. I am not sure if I agree on that. While I would also say, that love for stuff (for me it was always more a powerful feeling of possessing something) is the foundation for hoarding, I also say there is a HUGE gap between getting the feeling “I would love to buy it” and then actually doing it in a way that it gets out of control. Hoarding is some sort of addiction, and while healthy people can control their habits, addicts cant do that anymore. I am not sure how this applies to people who dont clean up and just live in their trash – I guess that is just self loathing, and another way of dealing with depressions. but thats just a wild guess. Well, I didn’t want so say something about how severe those “clutter problems” were nore did I want to imply that hoarding (which is indeed most often sign of a depression) is easy to overcome. I remember a discussion of a friend of my grandparents and my granny I listened to when I was about 18. They were talking about a deceased family member and “oh my God, he kept all his letters he ever got in his life! It was disgusting to clear that out!” Actually, I had kept all my letters (more than 500!) as well until then and I know of many people who still do. I also have a friend who is keeping her old newspapers for two years already. The stack is already kind of a side table at her place. These are all common “hoarding” practices, but as one can see, also things completely “normal” people do. I mean, I am the person that aquired coffee sets for about 100 persons as well as more than 50 vases by the age of 23. I am the person who will still stop in front of every single shop window that displays a vase or a tea cup (and occassionally, I’m still “weak” and buy one). I’d be the crazy tea cup lady, if I let myself. So, actually, when I see a documentary about hoarders, I see myself there, just more sad and more introverted and therefore more attached to things and clinging onto them for fear of letting go/being left alone. Maybe, this feeling is misleading me, as I have no first-hand experience with hoarding. But as it’s much more sympathy that I’m feeling, I’m often confused about the disgust and harsh reactions of others regarding hoarding. I get it now. I didnt know what you meant before. if you feel somewhat close to hoarders, I feel somewhat close to drug addicts. I can so relate to the wish to escape into the own head/mind/world/reality, I really feel for them. I would of course never become a drug addict, because lets face it, you dont have a chance to have a happy little life there, and I am smart enough to plan for my future to some extent. minimalism is a good philosophy for myself. I can use it to feel independent and strong against a world full of consumerism, ignorance and just plain idiots. „Crazy Teacup lady“ made me laugh out loud. I absolutely get, where you are coming from. I hoarded a lot of home items either from fleamarkets or presents or hand-me-downs for my anticipated life as a „grown-up“ when I was younger just to find out (rather late) that all this stuff actually is NOT contributing to the life (and) style I have/want. And from my experiences with non-hoarders as well as with someone who would surely be defined as a hoarder I absolutely have to say that the argumentation often is exactly the same. It’s definitely the ”out of control” part that flips the switch. What contributes to leaving the “control zone” surely is highly personal, as in any other addictive condition. I think the comparison to drugs is a good one. Where is the difference – from the outside – of someone having a beer at lunch or wanting to keep a piece of wood for the next diy? It’s all about the proportions. Good book review Cindy, you have convinced me I would probably enjoy reading this book. I will have to look for it in my local library. I very much agree that a problem shared is a problem halved. Finding that there are other people close by that share the same problem who then can help each other recover is the best result to admitting there is a problem. Trying to keep the secret can be almost as damaging as the problem itself. 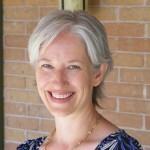 Hi Colleen – I have done a quick poll of my friends and all of us have at least one set of parents or inlaws that we are concerned about the amount of stuff they have in their homes. Fortunately no hoarders (meaning no obvious safety risk), but a few extreme packrats. Is it a generation thing? Or just years and years of layers and layers of clutter thing? Thanks for that link I have added it to Friday’s Favourites. I have a friend who just turned 25. and while she is always appearing in a PERFECT way (dresses, make up, accessoires, etc. ), she is living in filth. and everytime I am there I have to control the really pressing urge to CLEAN the whole appartment. its only a part of the kitchen that I tackle, in order to make coffee. my aunt and uncle are living under similar conditions, but 40 years older. so this is for sure no generation thing. Lena, The book mentions a whole group of clutterers who are immaculate in appearance but have horrific homes and cars. Imagine how horrified their friends and neighbors are when they discover this secret. I bet hoarding is something you can keep from others for quite a while. I mean you appear totally normal until someone sees your home, so you dont invite, let anyone in, etc. And as long as you appear in a decent way, why should anyone wonder how it might look at home? 🙂 🙂 🙂 my hubby’s biggest gripe is about my car. He doesn’t understand how I like the house to be tidy but my car is messy. I have the people-mover vehicle and the kids treat it like a home on the run so there’s always clothes and books and drink bottles and school bags and shoes you name it, its floating around in it. I do try, but it constantly gets away on me. I recently decided to research the difference between a hoarder and a pack rat, as my hubby is concerned about his parents. The good news is that they are classified pack rats. The bad news is that one day we will still probably have to deal with their stuff. I just went online to our city library catalogue to see if they had Dirty Secret, so I could bypass buying the eBook (they don’t have it) but I discovered that they have very recently introduced an eBook section. Good article, Moni. My hubby’s parents saved all sorts of things. Years worth of National Geographic magazines and similar stuff. Piled it in the attic and on the attic steps! It’s hard seeing people do this but sometimes you can’t do much about it except keep the names of local junk haulers handy for when the time comes that you are faced with dealing with it. It’s very hard to convince people to get rid of things but I wish you luck if you are going to try! Hi Amy in NY – exactly! Its no use trying to change them if they don’t want to, my theory is to wait until circumstances force the issue and then swing into action. No use being the evil daughter in law in advance. My hubby gets worried when it thinks about it, but I assure him that I will be an expert on decluttering by then But yes I forsee most going to goodwill or recycling or into a dumpster. Right off that bat, my thought is that one difference between pat racks and hoarders is the difference between having lots of stuff v. having lots of stuff plus lots of trash, filth, and useless items. I’ll have to check the link and see if I’m on target. Hi Cindy, I don’t think hoarding really requires trash and filth and that it is very bad (as good as it is that there is drawn attention to the (mental) condition more people than we know/think live in) that all the tv shows focus on people who live exactly like that (plus cat feces).Worse: In German a hoarder is called a “Messie” … But what about orderly hoarders? What about collections out of control where no curating is done, no admiring but simply adding and adding and adding? Should you find out more, please share. I would love to know where hoarding supposedly starts. I would guess it has a psychological dimension. Having no psychological qualification or anything, I would classify hoarding as an OCD. And as far as I am informed this behaviour sneaks into your life slowly, usually getting huge if some sort of trauma happens. So I would have a guess that every hoarder was a pack rat before, but maybe not every pack rat turns into a hoarder? Moni – Thanks for the link to that interesting article. is a plain truth. Hoarding isnt a problem society puts on people. Hoarding is a OCD, a way of people coping with life. I would describe myself as the daughter of one hoarder (my lovely Mum) and a simple-liver (my equally lovely Dad) with a definate hoarder of a brother. I’ve always been oppressed by belongings and felt the need to de-junk and simplify. Mum recognises that her hoarding (far from pathological) is a reaction to a disordered early childhood in grinding poverty. She is slowly releasing things to be used by other people, as her genersoity and kindness can overcome the anxiety of future want. I find that I have a mental image as if each of my belongings is connected to me by a fine thread, each not significant in itself, but adding up to a dead weight of belongings tying me down. I feel physically and emotionally lighter when I part with things and can say that I honestly prefer parting with objects to acquiring them. On of my friends’ parents has tape on the bottom of my objects in their house – it’s the name of the person to whom the object is to trasnfer upon their death. 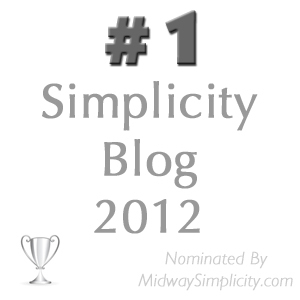 Simple, smart, efficient, and often chosen with the help of the recipient. you say that “people suffer as the consequence of owning more things than they can possibly need or use” but I think they suffer even more from forever wanting more or new stuff. That desire to acquire is something I am glad I not longer suffer from. Even though I didn’t have a bad case I am still glad to be over it. I am so glad your grandmother is doing her best to declutter now. As you suggest, when she passes you will have the time to grieve in peace not under pressure. I hope you tell her how much you appreciate what she is doing. I agree with you, GreyQueen, I like giving more now than getting. Every time that I get rid of something I feel so much lighter. It’s exhilarating! And very, very addictive. Plus, it’s nice to help others that might need something more than I do. I enjoy getting rid of things, too, and appreciate the corresponding lack of guilt I feel if I do bring something new home. After reading this post and all the comments, it’s obvious that the thought of being a packrat or hoarder is close to everyones hearts. I’m sure we all know one or know of one, whether the person be full blown or on their way! I’m also sure that it was a ‘penny dropping moment for us all to get de-cluttered. Most of us either thought ‘I have to stop shopping’ or ‘My place is full to the brim and I can’t move’ or finally ‘That’s the last time I’m going to trip over or walk around that thing’. We have all at some stage gone through ‘Brain Change’ and it opens your eyes to your patterns of acquisition and homing of things. To those that have the tendancy to ‘want’ more than ‘need’ I salute your ongoing battle. You just have to find your level of ‘I have enough’. For me my house was never dirty or messy to the point of not letting anyone in but in hindsight it took forever to clean and dust around everything, add to that a very busy lifestyle outside of the home and viola’ a house that looks like a storage area without really good storage options for all the things I thought I needed to make my house a home. Obviously, for Hoarders, their habit sprung up to a head after years of accumulation of ‘things’ whether they be useful or useless doesn’t matter it is the fact that they have them and they appoint themselves ‘caretakers’ of everything from teacups to trash. Having watched so many shows on TV about the physical stuff to the psychological hold the stuff has on some people was and is mindblowing. 9 out of 10 of these souls has suffered some sort of trauma and hanging on to things is more important than anything else. Although these shows fascinate me (and usually send me running to clean or throw something) I am deeply disturbed at what seems a lack of real intervention. The mental health issues some of these souls must be victim too can’t be solved in a ‘two hour special’ it is saddening to watch and all I feel is totally disturbed. I realise I’m very lucky not to have this in my family, pack ratty habits “I might need it one day” but nothing to the point of OMG in a not so nice way! I’m so thankful that I wanted to have less around me and to actually be able to swing a cat if I wish, but my heart does break for anyone who is dealing with or has dealt with this with close loved ones or friends they are trying to help. I also fail to see how they (Hoarders) can completely do a ‘flip to normality!!? ?’ without a lot of psychological help to stay clear of their habits. This can be such a huge area of concern for everyone, but I sincerely hope that if dealing with it on any level that you are able to help those concerned and make it easy for them to travel the path. haha, Dizzy, I know what you are talking about. I have aunt and uncle who are like this, me and my brother will inherit every single piece in the house. My aunt can laugh about it, but she only needs a push once in a while. My uncle is the collector, he wants to archive his millions and billions of paper, he has all over the house. I dont think he will ever change, he had psychological help for a long time, and the hoarding is the least of his problems. So for me and my brother this will be unavoidable. Sanni, re amount of stuff- I keep & buy as much stuff as I want, enjoy, afford, clean. I keep the minimum amount of stuff that makes me happy & comfortable with. I just keep the minimal amount that makes me “sing”. I answer only to myself & husband re how much is enough. My amount is probably a lot less than most folks because I hate to dust, but the amount isn’t important, it is my happiness. I know this sounds self absorbed, but my family is all I ‘m in charge of. I am a quilter and keep buying fabric, especially when I am with my sister who quilts and sews way more than me. One of my goals in 2012 is to try to finish at least 2 of my UFO’s and not to buy any more fabric. If I find a pattern I like, I will only use what I have at home to make it. I love the feel of fabric and some of the new things coming out are simply beautiful. What I need to do now is rearrange what I have so I can see it and appreciate it. Since some of it is packed away in plastic bins, once I unearth it, it will be like new again. A friend’s mom just gave me her leftover fabric since she is moving on to knitting. I should have said no to her offer but now I am sorting it out and will pass it along to a quilt guild for someone else to use. I will be working in my sewing room along with doing the mini-mission in what other room is mentioned for the rest of the year. Well Maggie, you’ve certainly come to the right place because we don’t want you to be a hoarder either. It looks like you’re going back and reading the archives. That’s what I did when I first found the site too, although there were a lot fewer archives then. Good luck!